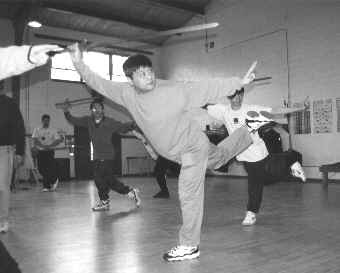 Zhang Yun, a twenty year student of Grand Master Wang Peisheng of Beijing. 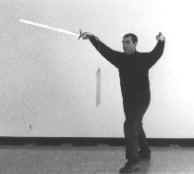 hit anyone in anger, I'm sure I will never deliberately stab anyone with a sword. for people who have a limited time for practice. to end up at the level of your opponents forehead is called draw a red dot between the eyebrows. children's foreheads for good luck. practice and a flowing and graceful performance. 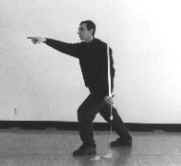 relaxed movements and interactions that are not double weighted. 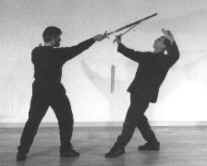 changes is integral to both the spiritual and martial aspects of Taiji. movement must integrate yin and yang resulting in gentle but strong movements. 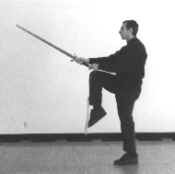 sword, studying this Taiji weapon has increased the benefits of Taiji in all of these domains. his family in Hillsborough NJ. 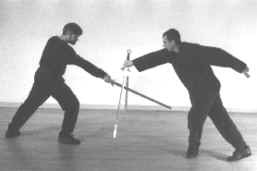 and martial arts are intended to be both functional and beautiful.